We acknowledge and honour the activism of people of Asian descent in their fight for human rights and social justice. Their ongoing struggles against multiple forms of oppression have been instrumental in strengthening our labour movement and our communities. Some of those struggles included resistance against the Chinese Exclusion Act and the Head Tax; the denial of the right to vote or to run for public office; the exploitation of Chinese railway workers; the internment of Japanese Canadians during the Second World War; and the Komagata Maru incident which led to challenges to the federal government’s racist “continuous journey regulation.” These struggles are historical, but anti-Asian racism is still present today. For Asian Heritage Month, we encourage members to build on these past struggles and take action against discrimination and oppression today. Learn about how the federal government’s Bill C-59 (the national security bill) endangers our rights and freedoms and puts racialized people at particular risk. Read the statement that CUPE signed asking MPs to fix Bill C-59. Register for CUPE’s workshops on racial justice and human rights, and much more, to develop the skills and perspectives needed to build a stronger and more inclusive union. Look for these workshops at a CUPE school near you. Ensure that labour legislation in Canada recognizes and protects all migrant workers through genuine labour standards such as living wages, safe and healthy working conditions and basic human rights. Sign the online petition calling on the Government of Canada to ratify the ILO’s Domestic Workers Convention (No. 189). Each year, thousands of women enter Canada to perform domestic and caregiving work in peoples’ homes. These women can face exploitation and human rights abuses. Canada needs to commit to upholding international standards. 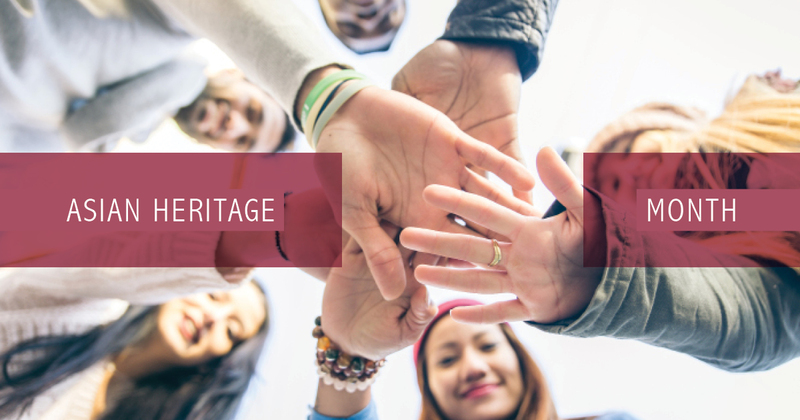 Celebrate Asian Heritage Month within your local – share on social media, organize lunch-and-learns and screen videos.